1. Be her Valentine! 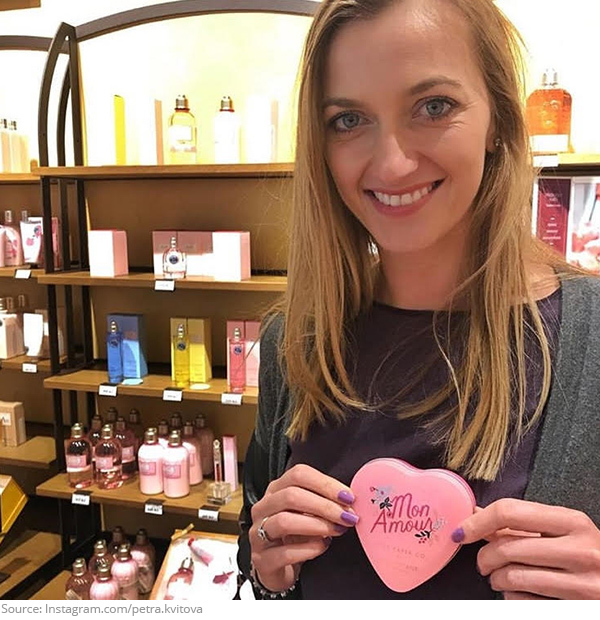 Petra Kvitova is all heart! 2. Baby on board! 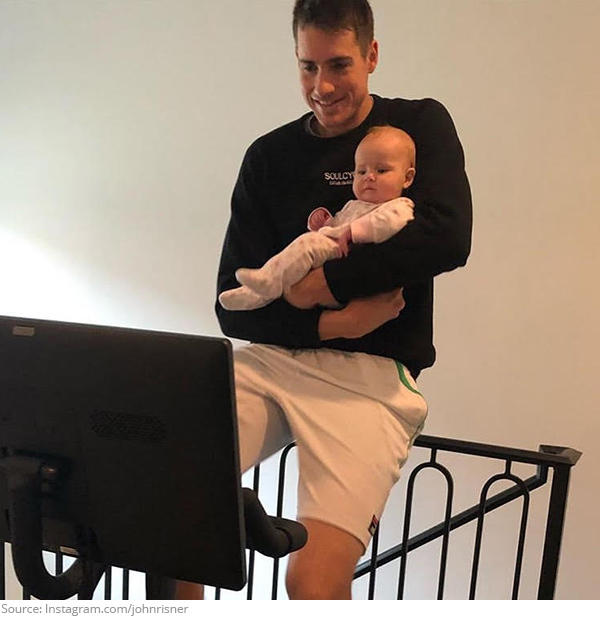 John Isner has a new trainer, and she’s tough! 3. Feeling Crabby! 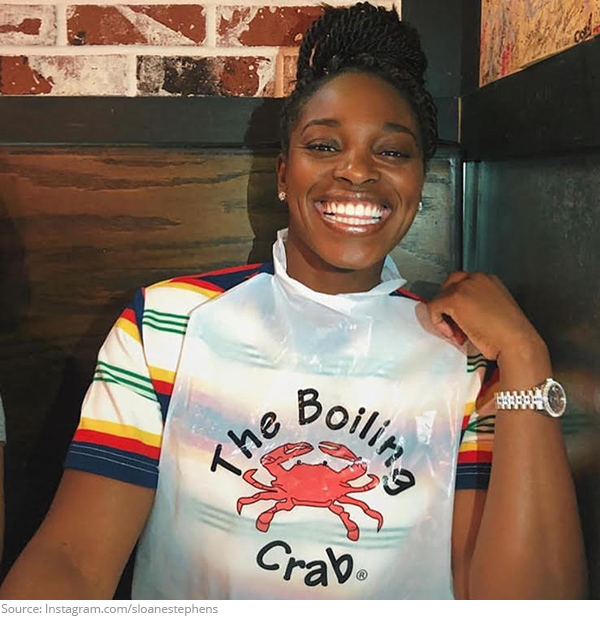 Sloane Stephens had the most clawsome time! 4. Check please! 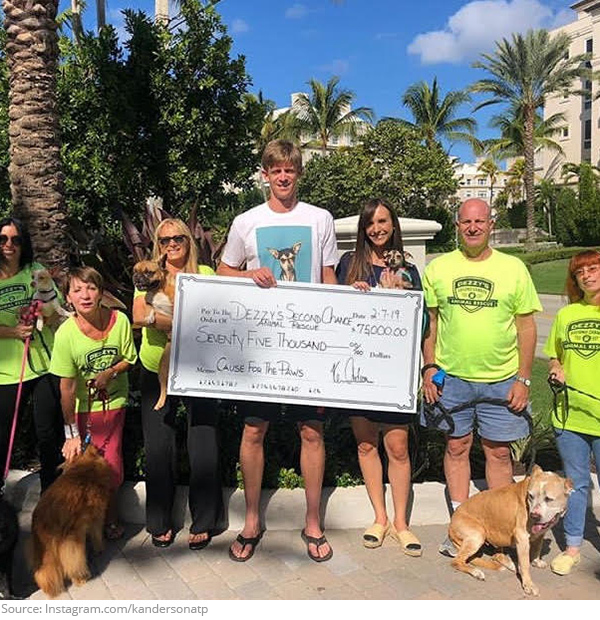 Kevin Anderson’s charity rewards Dezzy’s Second Chance dog rescue! 5. Ombré all day! 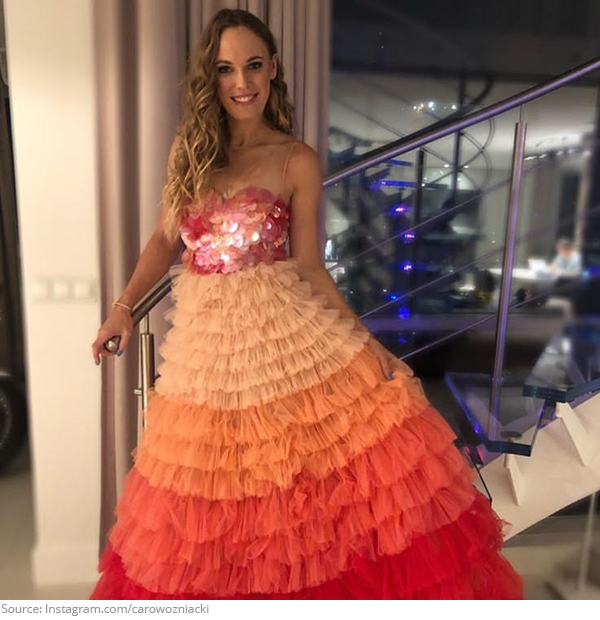 Caroline Wozniacki looks like a Disney princess! 6. Claymates! 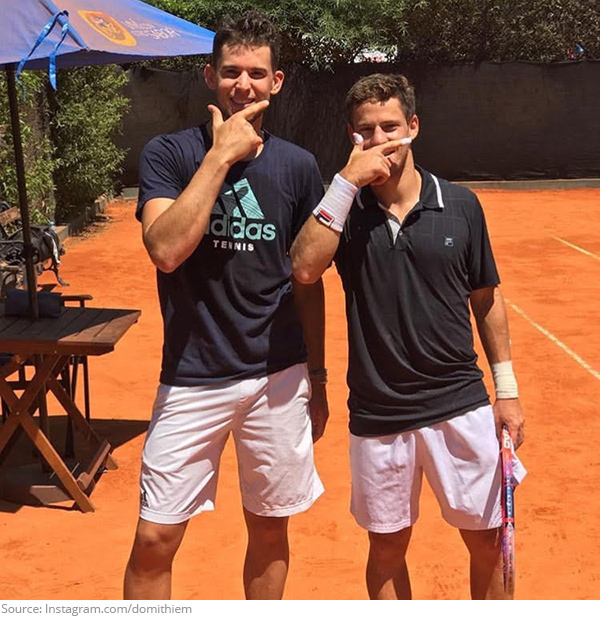 Dominic Thiem and Diego Schwartzman are double trouble! 7. Peace, love & hump day! 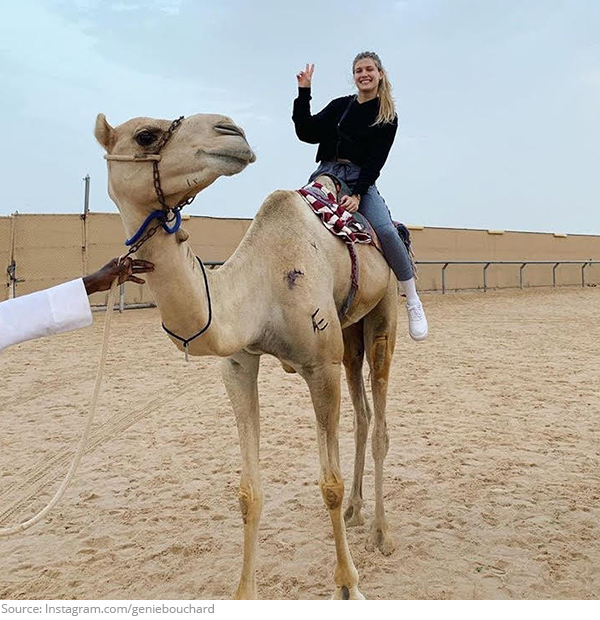 Genie Bouchard is in for a bumpy ride! 8. Hide and seek! Novak Djokovic is already looking for another Grand Slam title! 9. Baby shark doo doo doo! 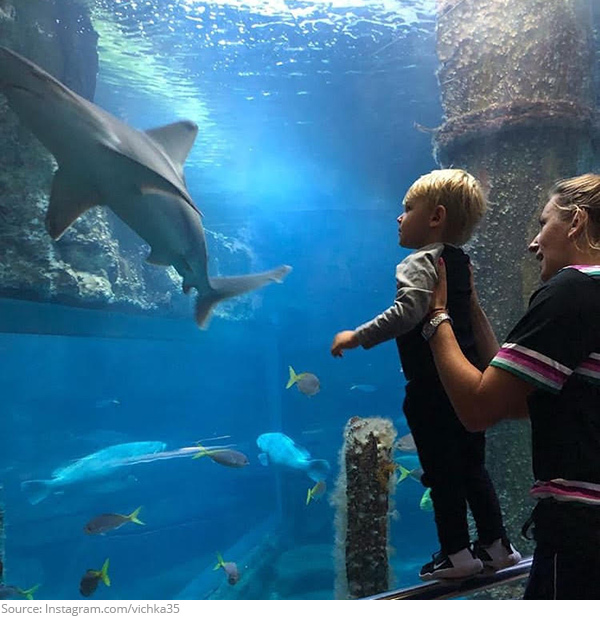 Victoria Azarenka and her son are doing somefin fun! 10. Water you doing, Roger? 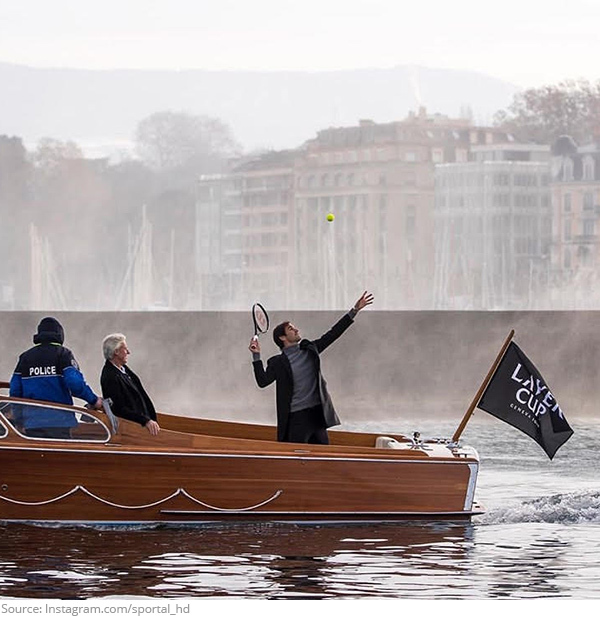 Federer can’t float away from the sport!